I’m Steve Gustafson and thanks for stopping by. 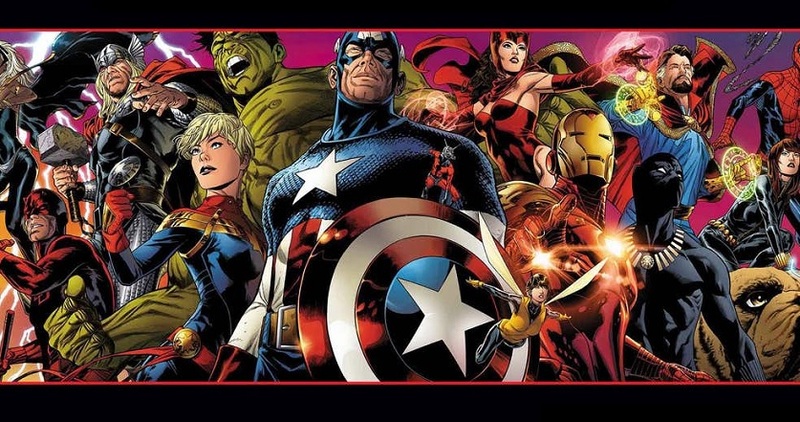 Don’t forget to check out 411mania’s Comic Book Review Roundtable, every Thursday! Read up on the best reviews and let us know what you’re reading as well. Click to read the latest Comic Book Review Roundtable! Green Lantern #1, Black Order #1, and more! Elia Notari: “I’d say that, personally, I prefer an universe in perfect continuity, like the new Valiant one, its continuity is a strong point for the fans. Aejhaa: “Sure continuity gets in the way but the DCYOU initiative showed that ignoring it doesn’t always mean good comics will come out of it. Kevin McCarthy: “With Marvel slowly farming everything out to IDW its only a matter of time where its not going to matter. Shawn S. Lealos: “Kind of? I mean, what about TV shows? If Flash or Supernatural entered a new season and changed everything, ignoring what happened the previous few seasons, it would make fans mad. Things can change (especially little things that really don’t mean anything) but major changes need to be done with an explanation why otherwise it shows no respect for what came before. To read all the comments or to read last week’s column, CLICK HERE! As always, thanks for the input! In this week’s X-Men: The Exterminated #1, Lonnie Nadler and Zac Thompson take a look at the impact the death of Cable has had on the lives of other mutants, particularly his daughter Hope and mother Jean Grey. All this is a set up for a new world, the reality-altering tale “Age of X-Man”. I originally was going to do a ‘Best X-Men’ list but realized it would be very Wolverine focused even though we all know it’s really Magneto. 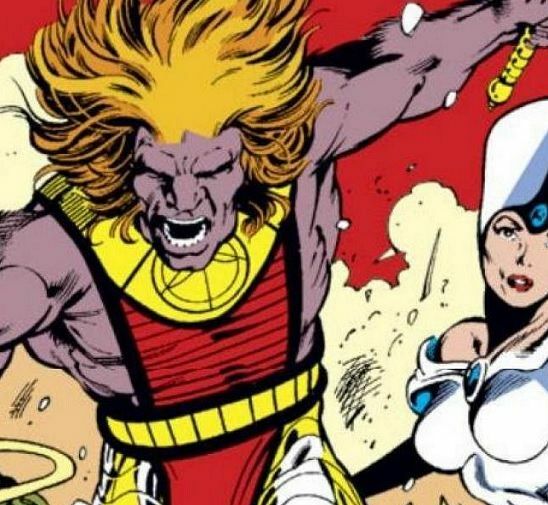 Instead I decided to go with the Worst and when you cast the net to gather the Worst X-Men characters, you are surprised by just how much selection you get back. I admit that I’ve not been keeping up with the mutants as much as I should have recently but I’m in the midst of rectifying that. Take someone like Wraith. Power: Invisible skin. I don’t know what inspired his creation but that’s not a handy power to have unless you’re teaching a class on the human body. It should be noted that in Wraiths first appearance, his look set a street full of people to start beating him to death. Then you have someone like Slipstream. Slipstream‘s can “generate a warp portal in the fabric of space and ride the resultant warp-wave…Slipstream could use this ability to travel to virtually any point on Earth at faster-than-light speed, and can ferry others through the portal with him.” What does that mean? He can teleport but only when he’s on his little surfboard. He’s a poor, poor, poor man’s Silver Surfer. I can’t mention Slipstream without talking about Lifeguard. Shocker! Lifeguard is actually Slipstream’s sister! Her mutant power? When people are in trouble, she saves them, either by transforming or developing a situation-specific mutant power. Credit this one to a lazy writer. Kylun can mimic any sound. Oh, and has magic swords which could not harm the pure of heart. I get the feeling they designed him to do something cool but that didn’t work out so they kept adding to him, trying to turn him into…something. Didn’t work. I know X-Treme has his fans but…UGH. Pure ’90’s right here. Adam Neramani never had a chance. He had the power to set fire to people’s blood and his own blood is acid. To note how cool he was, they had him wear his cap backwards and wear a motorcycle suit with lots of pouches and gadgets. Oh, he turned down membership in the X-Men. I remember reading that he was to be the “third Summers brother,” but thankfully that idea was ditched. My gut says Maggott will be the guy everyone in the comments will agree really deserves to be on this list. Where to start with this guy? His mutation was that his digestive tract could crawl around likes large worms and turn his skin blue. He also spoke in South African slang. Honestly, when I thought of this, he was the first one to pop into my head. I’m sure the day will come when some writer will attempt to do a “classic” Maggott story but I don’t see that happening anytime soon. This one will cause me a little backlash but Cypher belongs on this list. He’s the original lame character, in my book. Cypher can read any language. That’s his power. They keep bringing him back around but it doesn’t change the fact that he’s D-level at best. I wanted to put Ink and Skin together but the jokes would be too obvious. 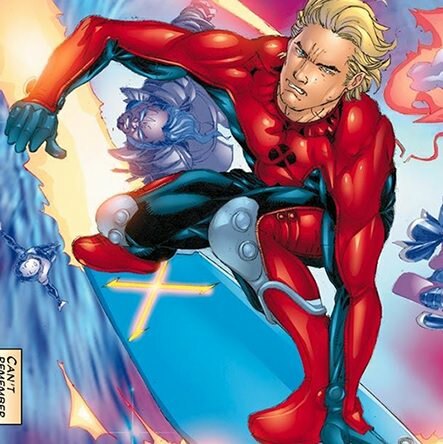 OK, Ink is on the list but isn’t a mutant but he is actually empowered by another mutant. See, there’s another mutant named Leon whose powers is giving power-bestowing tattoos and Ink is that guy. This could have been cool but is really, really dumb. I was going to put Shatterstar on here BUT just read his first issue and found it…pretty good. He earns his stay-of-execution. For now. I’ll close with Choir. Multi-ventriloquism. That’s all.